Wooden cutting boards inhibit bacteria growth whereas plastic boards are more likely to harbor bacteria in the grooves cut into the surface of the board. Wood cutting boards are easier on knives - plastic boards dull knives very quickly. Wood boards are more appealing, attractive, and traditional than plastic. 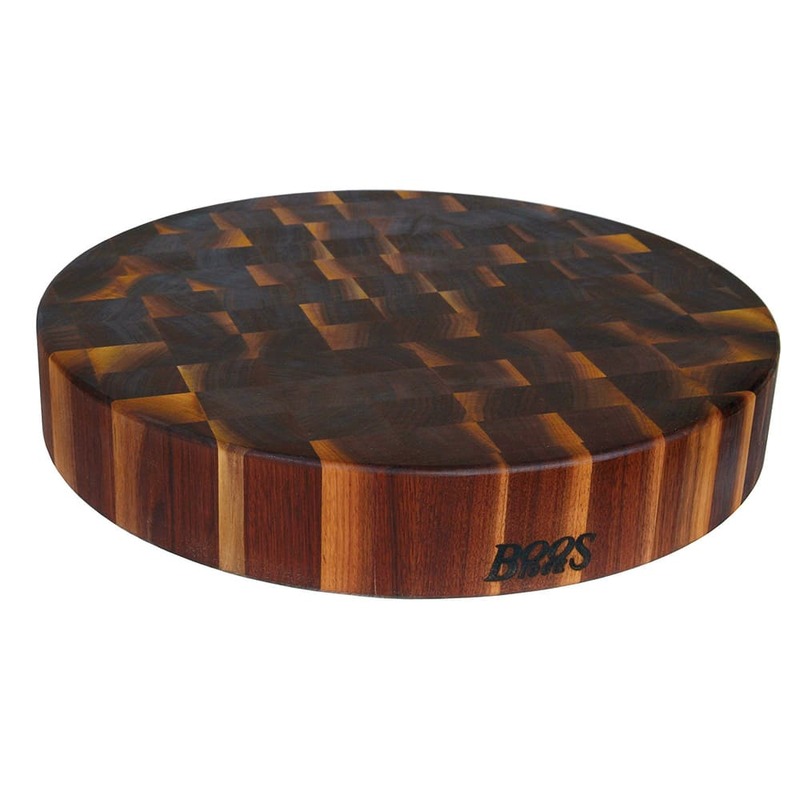 BoosBlock professional cutting boards are FDA-approved and are used in some of the finest restaurants in the country. BoosBlock Professional Cutting Boards are used by professional chefs throughout the United States and have been awarded the Gold Medal Award by Chefs of America. Available in more than 39 shapes and sizes to fit any need. All boards are manufactured with hard rock maple and are National Sanitation Foundation (NSF) approved. John Boos & Co. is the number one supplier of butcher blocks, counter-tops and cutting boards to restaurants, butchers...and even the White House. BoosBlock cutting boards are manufactured by John Boos & Co. based in Effingham, Illinois. Since its inception in 1887, John Boos & Co. strives to provide the highest quality products to the most discriminating consumers. John Boos & Co. BoosBlock butcher blocks and cutting boards can be seen in the restaurants of celebrity chefs across the United States. They are used in high profile television programs weekly, such as those on The Food Network. John Boos & Co. has the distinct honor of being one of the 22 companies awarded the Gold Medal for Excellence in Food service Equipment by the Chefs of America in 1994. Black Walnut Chopping Block, 18" diameter x 3" thick, non-reversible, end grain construction, Boos Block Cream with beeswax finish.